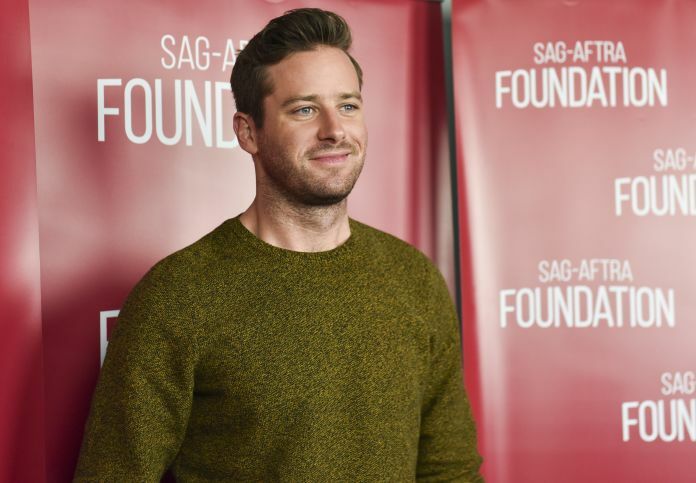 Armie Hammer is making his Broadway debut this summer in “Straight White Men,” Second Stage Theater company announced Monday. Hammer, who played the Winklevoss twins in “The Social Network” and most recently starred in “Call Me By Your Name,” will play “Drew,” alongside Tom Skerritt as “Ed” in the production at the Hayes Theater. The play, written by Young Jean Lee and directed by Anna D. Shapiro begins previews on June 29, 2018, with an opening date of July 23, 2018. This play is part of Second Stage’s first season with a Broadway theater, thanks to its 2015 purchase of the Helen Hayes Theatre. The theater company has said it will only produce American plays written by living American playwrights. Before “Straight White Men,” Second Stage begins its season with “Lobby Hero,” written by Kenneth Lonergan and officially opening March 26. “Straight White Men” centers on a father who takes his three adult sons out on Christmas Eve for a night of fun. However, the night turns more serious when they have to do a self-examination of their identities. With this play, Young Jean Lee will be the first Asian-American female playwright to be produced on Broadway. The play has scenic design by Todd Rosenthal, costume design by Suttirat Larlab, lighting design by Donald Holder, sound design by M.L. Dogg and casting by Telsey & Company. More casting will be announced soon, according to the press release.